Maritime Case Ltd. has been appointed the exclusive Ammann dealer in the Provinces of New Brunswick and Prince Edward Island. While McGrath readily admits that Ammann products are not well known in the Maritimes, he says initial customer response to the line has been very favourable. McGrath says his company will stock a full line of light and heavy Ammann compaction equipment. Maritime Case is staffed by some of the industry’s most experienced equipment personnel who pride themselves on their collective knowledge. The sales team of three – Tony Durling, Bill O’Hanley, and Andrew Miller – has 60 years of selling experiences, while the Parts Manager, Bob Lyons and Service Manager, Peter Ferris have 40 and 35 years experience, respectively. Peter Price is providing onsite Ammann sales and parts training for the Maritime Case sale team, while Chase will be sending members of his service team for factory training in Switzerland, at Ammann headquarters. 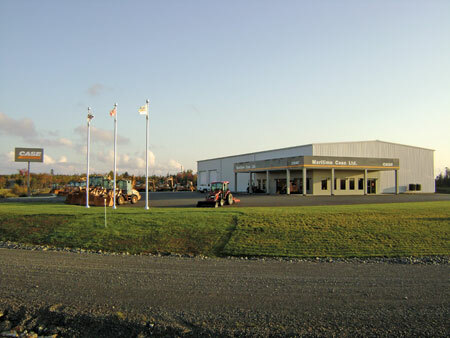 To serve their customers better and offer more showroom space, Maritime Case has invested in a new company site in Fredericton on 5 acres of land with excellent access and visibility from the main highway. “Ammann is the perfect complement to our existing Case products and we’re excited to introduce the complete line to our customers,” says Chase.